Subscribe to our mailing list to receive updates about training events. Individual supervision is available to psychology students, early career mental health professionals and psychiatrists interested in enhancing their psychotherapy skills. Our approach to psychotherapy is based on attachment theory, relational psychotherapy, and experiential techniques. Dr. Simakhodskaya and Mr. Seaman provide individual and group supervision to professionals learning Emotionally Focused Couple Therapy. Individual supervision is 60 minutes long. EFT group supervision consists of monthly 2 hour meeting in a small group setting. Learning EFT interventions, steps and stages, and reviewing case material in a safe and supportive environment. 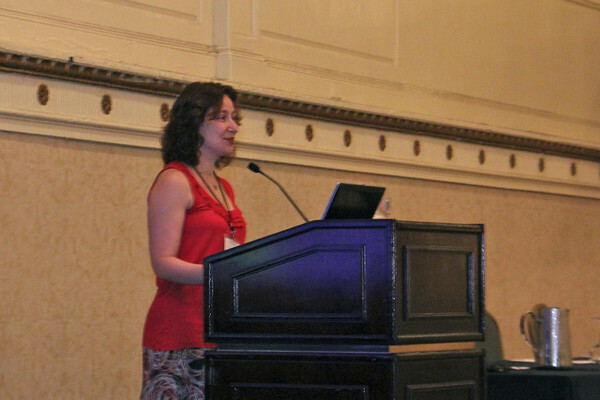 Several ongoing supervision groups run by Dr. Simakhodskaya are available. All groups run from September through June. The fee is $100 per group. Email drzoyasim@gmail.com to join the group. Tuesday, 9:30-11:30am Group for those who have completed EFT basic externship, advanced training or are certified in EFT. Friday, 10:00am-12:00pm Group for those who completed EFT basic externship and core skills advanced training or who are Certified EFT therapists. Group is co-led with Wendy Tomkiel, LCSW. Always back by popular demand. We see more faces at this EFT in depth training every year! “EFT Core Skills: Further Exploration” is an opportunity to focus on particular aspects of EFT in an intensive, small group format. Brief Guide to Recording EFT Sessions Zoya (1) – you can download this document created to help you begin recording sessions, including camera and other equipment recommendations. We offer a postdoctoral fellowship in clinical psychology with a particular focus in AEDP and EFT approaches. In addition to conducting individual and couples psychotherapy, the postdoctoral fellow receives comprehensive supervision and training. Training provided includes a full EFT externship and Core Skills Advanced Training, monthly AEDP seminars and quarterly NYCEFT Seminars, monthly EFT group supervision, and participation in process research. If interested, click here for cpid postdoc fellowship description or please visit our Contact Us page. Applications will be accepted for 2019-2021 academic years. 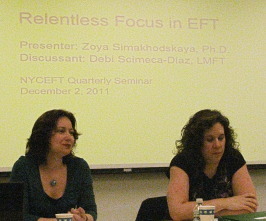 Zoya Simakhodskaya presenting at local EFT events. 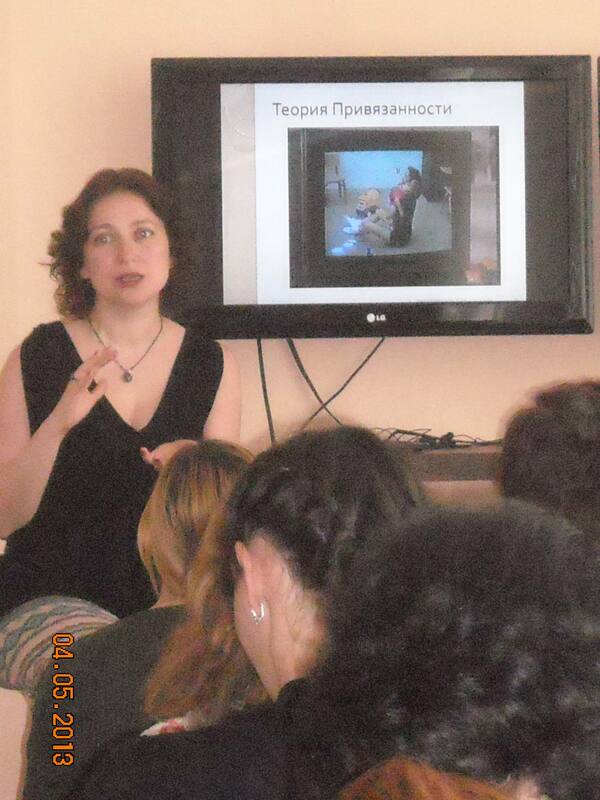 Zoya Simakhodskaya presenting “Introduction to EFT” workshop in Moscow, Russia, May 2013.